We strive to grow the cleanest cannabis from day one. TANGIEMAL (Tangie × Animal Cookies) Creator of TangieMal, Humboldt’s Dankest. Hempcon Best Sativa 2017. 70/30 Sativa dominant. The Tangie strain is best known for its characteristic terpene proﬁle. This strain has a citrus taste unlike any other that you can imagine. If you haven’t tried it for yourself, it’s best described as a cheesy citrus taste with a hint of cookie. SFV OG (Afghani crossed child) “San Fernando Valley OG” is a potent indica dominant (70% indica/30% sativa) phenotype of the OG Kush strain created by breeders at the infamous Cali Connection farms in the San Fernando Valley. This dank bud boasts an average THC level ranging from 19-27% and primarily indica effects. Connection is a sativa-dominant hybrid that is great for patients who need strong pain relief but don’t want to be stuck on the couch. Zkittles An indica-dominant mix of Grape Ape and Grapefruit that is crossed with another undisclosed strain to produce this candy-ﬂavored cannabis bred by 3rd Gen Family and Terp Hogz. This award-winning combination took 1st Place at the 2016 Emerald Cup and 1st Place Indica at the 2015 Cannabis Cups in San Francisco and in Michigan. The chunky colas explode in a spectrum of light green hues and emit a sweet, tropical blend of fruit ﬂavors. The effects of Zkittlez are surprisingly uplifting for an indica, leaving consumers focused, alert, and happy while relaxing the body to help unwind any time of day. Gelato (also referred to as “Larry Bird”) Another tantalizing hybrid cannabis strain from Cookie Fam Genetics, following in the footsteps of its parents Sunset Sherbet and Thin Mint GSC. It gets its name from the fruity, dessert-like aroma, a common genetic thread among the Cookie family. Her buds tend to bloom in dark purple hues illuminated by ﬁery orange hairs and a shining white coat of crystal resin. Novice consumers may want to approach this THC powerhouse with caution, but those armed with a high tolerance will delight in Gelato’s heavy-handed euphoria. Physical relaxation comes on strong, but many ﬁnd themselves still mentally agile enough to stay productive and creative when enjoying Gelato during the day. Not all cannabis is created from the same inspiration. Our seeds represent a life long journey of passion, devotion, sacrifice and love. Bred and arduously selected on our biodiverse organic homestead tucked away deep in the mountains of Southern Humboldt county. Our seeds have been a trusted source for some of the largest farmers in the Emerald Triangle for years. We offer a diverse spectrum of Cannabis genetics. Our plants are known for heavy resin production and potency, impressive terpenes and abundant yields. We are honored to share our multiple award winning, world class genetics for all to experience. Nothing is perfected overnight, and that definitely applies to growing high quality cannabis. Lucky for us at Bridgebank Farms we’ve had three generations to figure it out. We offer high quality exotic strains of dep and an assortment of live resin flavors. We ran pesticidefree for many years, so regulation of pesticides isn’t going to throw our growing game off. Here at Bridgebank Farms you can always bank on quality. Blueberry Grapefruit • TangieBerry Blueberry Grapefruit • TangieBerry BerryLand BerryLand •• Blueberry Blueberry Muﬃ Muﬃn n Blueberry Skittlez • Purple Trainwreck Blueberry Skittlez • Purple Trainwreck TERPS TERPS TOO!!!!! TOO!!!!! Started by a family. Built by a family. When Amos Faraon decided to invest in the top of Reed Mountain, ‘green rush’ wasn’t a common term yet. The journey to develop Reed Mountain Pharms has been long and arduous, with the payoff being well worth it and a product that speaks for itself. Each bud is harvested by hand, hang cured and hand trimmed, processed in the traditional artisan fashion creating a beautiful flower product that your customers will love. Purchasing your white label or branded flowers from Reed Mountain Pharms continues to support the small farmers in the ‘marijuana heartland of the US’ that have braved our industry for decades. Your customers will appreciate the quality, taste and the high derived from this very special place, proudly sitting on top of a hill looking out over the beautiful valleys of green below, from Redwoods to Cannabis. Quality Products. This spring we are proud to be presenting to licensed distributors a wide variety of strains: OG, White OG, Diamond OG, Skywalker OG, True OG, Humboldt True OG, Doc OG, San Fernando Valley OG, OG Twist, ACDC, Blue Cheese, Candy Land, Blueberry Cookies, Girl Scout Cookies, Gorilla Glue, Watermelon Rancher, Gelato, Lemon Larry and Sour Diesel. 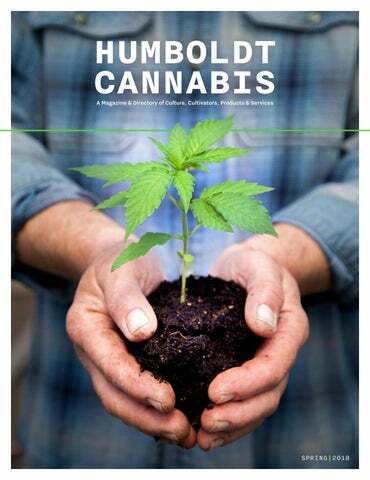 Web www.humboldtcannabismagazine.com Social “Like” us on Facebook Instagram @humcanmag • Twitter @humcanmag Content / Story Ideas / Photo Submissions lynn@northcoastjournal.com For additional copies or ad space reservations call Melissa at (707) 442-1400 ext. 319. 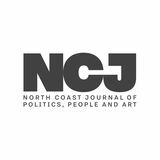 310 F St., Eureka, CA 95501 (707) 442-1400 | www.northcoastjournal.com ©2018 Entire contents are copyrighted. No content may be reproduced or reprinted without the publisher’s written permission. BEYOND THE COUNTY LINE, the story of Humboldt is often sung as a one-note tune. The opening chords recall the collapse of the timber industry, peppered with narratives about displaced loggers and utopian hippies growing marijuana in the hills. Lyrics about off-thegrid millionaires and helicopters buzzing overhead bookend a chorus that waxes poetic about the timeless beauty of the redwoods. Promising to protect this wild and exotic place, the closing notes remind us a new era has arrived. Like an overplayed classic, however, the song has gotten a bit trite. Humboldt County encompasses 4,052 square miles and contains a multitude of diverse microclimates and disparate small towns. Across this rugged terrain, cannabis is grown along backcountry roads and in your neighbor’s spare bedroom. A byproduct and pillar of the region’s cultural identity, cannabis is inseparable from our story. To understand the anecdotal charm of life in America’s cannabis capital, get to know the bedrock communities that have made Humboldt cannabis a legacy. The Mattole Valley has always maintained a reputation for safeguarding its hidden paradise. Right: Inside the Mateel. Photograph by Alexandra Hootnick. Below: Protesters in 1990s’ Garberville. Photograph from the Humboldt Historical Society. venue located in the rural town of Redway near Garberville. “There are people here to stay no matter what,” says Epling. The prototypical child of back-to-the-land parents, Epling grew up without electricity or technology. When he was 13 years old, he tried to hook up a homemade computer to a solar panel. Today, Epling owns Emerald Tech, a computer store in Garberville. “My first memory of the Mateel was my mom setting me in a pile of jackets so they could go dance.” Often referred to as "the hall that marijuana built," the Mateel’s effort to preserve culture, music and community in SoHum has always been supported by generous donations from cannabis farmers. Despite recent financial hardships, the Mateel persists as a hub of international culture in rural Humboldt. Drawn by the allure of the region, Dan Pomerantz moved to SoHum nine years ago to pursue his dream of “growing the best cannabis in the world.” His farm, Rebel Grown, sits at the geographical center of the Emerald Triangle, 45 minutes east of Garberville. Pomerantz believes the balance of inland heat and coastal moisture are an ideal microclimate for growing cannabis. “This area is so remote that people could go a little crazier and bigger,” explains Pomerantz. He attributes the scale of SoHum cannabis farms to the region’s “badass reputation.” Though outsiders often get the hint that meandering beyond downtown Garberville without invitation isn’t wise, every local tells a story of a neighbor coming to their rescue. With emergency services often hours away, families have always depended on volunteer fire departments and neighbors to respond to emergencies. “Many roads are not officially named, driveways are not marked, gates are locked and many locations are only known by their historical names,” explains Mikal Jakubal, formerly of the Briceland Volunteer Fire Department. The community radio station KMUD has always played a critical role in covering fire, weather and law enforcement news; many farms still lack internet and cell phone service. Living in such rural isolation has made farm stores, like Dazey’s Supply in Redway, a cornerstone of the community. “It’s where you see all your neighbors and catch-up,” says Honeydew resident Jade Woodrose. Until legalization, seclusion and risk were the tenets of a cannabis farmer’s life, intensifying the need to look out for each other. Beyond SoHum’s rough-and-tumble reputation, the real legacy of the region is the resilience of its community. FIND ALL THIS AND MORE AT OUR CONVENIENT ARCATA LOCATION. WE ARE ALWAYS HAPPY TO ANSWER ANY OF YOU QUESTIONS AND HELP YOU FIND THE BEST PRODUCTS FOR YOU! State Route 299 through Willow Creek. Photograph by Amy Kumler. Bridgeville during Bridgefest. Photograph by Jillian Butolph. but if we apply strategy that aligns with the state regulatory agencies, we should be able to navigate this new industry while reducing our overall carbon footprint,” she adds. From the tiny hub of Carlotta, Blessed Coast Farms is setting a high standard for small-scale, sustainable agriculture. By expertly leveraging social media and sharing stories about environmentally conscious cannabis farmers, Blessed Coast Farms is promoting a new image for Humboldt County. “If Humboldt can keep from being saturated by big business, we should retain the green economy we hold so dear to our hearts,” says Darwish. the legacy of Humboldt cannabis. Across Humboldt County, farmers, consultants, environmentalists, officials and entrepreneurs are working to ensure that our reputation goes untarnished. But the diversity of the region invites exploration to truly understand our flora and our home. In 2018, Humboldt County is open for adventures. WHY WOULD YOU BUY FLOWER ANYWHERE ELSE? Specializing in high quality flower, oils, and much more! Clockwise from top: 3 books; light; dirt; Big Drug Factory – Unfound; chronic freedom. Photographs by Scott Holmquist Studio©. Clockwise from top left: Big Drug Factory – Unfound; 3 books; chronic freedom; 3 books. Photographs by Scott Holmquist Studio©. Below: chronic freedom. Opposite: light. Photographs by Scott Holmquist Studio©. ThE AnAtOmY Of A SuPeRb CaNnAbIs TRUSTED GENETICS We work with only the most stabilized genetics for optimal medicinal terps and strain profiles. (Hendrx genetics and Humboldt seed). PREMIUM LOCATION The Eel River appellation located 1750 feet above sea level 14 miles from the Pacific creating the ideal south facing microclimate inducing high levels of terpenes. Holmquist presenting dirt at a private viewing in Petrolia. Photograph by Tony Smull. One of the artist’s remaining copies of the chronic freedom series has been donated to Humboldt State University’s new Special Collection room. Holmquist will be presenting his work in person in September, 2018. Date TBA. Gysin in the 1960s, in which a text is literally quartered and then reassembled to reveal its potential for meanings other than those which the authors originally intended. Gravid bodies, hidden cavities, nesting units and mise-en-abyme effects — books opening to reveal other books, paintings of paintings — are everywhere. When I caught up with Holmquist, speaking from Berlin, the artist was eager to discuss the archival approach he adopted to support original texts in the books. “I sought to gather traces of the histories and their different tellings, accumulating all documents on the subject I could find,” he told me. And he accumulated these impartially. “Whether it was small notebook drawings people made or watershed diagrams, or publications like Gulch Mulch, I included them. Every page of local items, some I micro-printed, set against, for instance, a 1983 article about growing in Southern Humboldt from People magazine … interested in bringing out the inevitable ironies and contradictions among the completely different points of view within these things set next to one another.” He has deliberately made no attempt to explain the materials he amassed. “I wanted to avoid distorting the things themselves with explanations that often depend on mainstream concepts. With the lived knowledge of growing, meanings fall together and offer pleasurable surprises,” he said. I asked if he sought to tell the real story and he said, “I wasn’t interested in 'telling the story,' or writing the history, or seeking to be impartial. In fact, this work is partisan, for the hippie and activist grower communities ... And I did not pretend that I could include all voices.” Indeed, women’s voices and experiences in the Southern Humboldt cannabis scene seem to be underrepresented, though there are several lengthy interviews of founding and first generation back-to-the-lander women, whom Holmquist had interviewed by Jennifer Block, a journalist and author friend. I also did not find anything on the presence of Hmong, Lao and Thai workers in Southern Humboldt, perennially underreported, though given the number of pages and documents, often reproduced in microscopic printing, I cannnot be sure they went unmentioned. The volumes avoid the region’s most stereotypical endemic narratives, correcting instead for the lurid and exploitative portraits of Southern Humboldt that some visiting journalists have drawn. They juxtapose accounts from a variety of voices: government surveys of the hills’ topography, AOL chat room wars, tabloid exposés, police reports, 1970s self-produced folk cassettes and 2000s hip-hop CDs. The groovy hippiespeak of the county’s little magazines butts up against the Babbitty tone of small-town newspaper accounts, then against the breezy and propulsive lingo of New Journalism. Readers explore by picking their way through the texts, moving forward or backward according to the moment’s dictates. Holmquist has imagined his books functioning as time capsules or “core samples” of the “insurgent communities” that laid the foundations of the Humboldt cannabis economy and its attendant cultures, building schools and institutions like a credit union and health center, all over a certain span of time, now beginning to recede into the past — a time when the cannabis-growing communites were concentrated in Southern Humboldt and Northern Mendocino counties, when they were more closeknit, self-sufficient and politically active, bound by their shared illegal livelihood. “If these books were somehow, in some future, the only evidence of what happened in those hills,” he mused, “if we could project the material into the distant future, when it’s discovered by the peasants of some different world, what would we learn?” His beautifully constructed volumes are built to last. Thanks to their material integrity, who knows? The future’s alien peasants might just get their chance. his side, Casali walks downhill toward the garage where a rack of clones will be watered and plants fed from a large, opaque tank of organic tea. These immaculate plants are a deep emerald color, the result of selective genotyping by his family for more than 45 years. The strains here are refined and economical in number, and all plants tagged with small trackand-trace bracelets. His mother is the original cultivator of the Fruitloopz strain, which has now been crossed with Skittles for Casali’s aptly named Huckleberries. (To experience Fruitloopz first hand, its terpenes have been blended with ink, providing an olfactory venture on page 2 of this edition.) Huckleberries is one of just a handful of Northern California craft cannabis strains to win Willie Nelson’s seal of approval and be included in his line of Willie’s Reserve. In addition to Fruitloopz and Huckleberries, a splice of his mother’s plants crossed with the popular Cookie strain will produce Mountain Mist, another player in the farm’s exclusive line of cannabis this season. Huckleberries as offered by Willie Nelson’s Willie’s Reserve. granted an official Fish-Friendly certification, Casali is the first among cannabis famers to embark on the five-year application process. He says that the state has a “legitimate beef” with many cannabis famers and he wants to help to eventually overcome that stigma. “Part of my newfound love is giving tours to people and educating them about the environment. Flow Kana really likes bringing them here because I usually have lunch prepared.” So lunch, a private tour, a bit of fishing, shopping for geodes to take home. “All in one experience.” Flow Kana is ultimately the fuel for Huckleberry Hill’s future growth. The San Francisco Bay Area marketing and distribution company works with small, sustainable farms, distributing products and handling customer communication. While Flow Kana staff have visited Casali’s farm about 25 times, only three of those visits were required before Huckleberry Hill was approved and welcomed into Flow Kana’s family of farms. In turn, Casali pledges to always put environment before profit. Casali’s home is nestled in the heart of the family property. As you enter the front door, a Humboldt High-Five wall banner is prominently displayed. These are the five farms ­— Huckleberry Hill, Lady Sativa Farm, Alpenglow Farms, Moonmade Farms and Villa Paradisio — selected by Flow Kana not only for high standards of environmentally friendly growing, but for reinvesting back to the community. Casali has donated to Save the Van Arken project in Southern Humboldt as well as to other causes. HUMBOLDT PREMIUM CANNABIS™ 4.0-GRAM SUN GROWN EIGHTHS, 454-GRAM SUN GROWN UNITS Each prepackaged eighth is CA compliant, 24 per carton. Available in a variety of strains. 6 all flower pre-rolls for a total of 3.5 grams per pack. Assembled by hand. 10 packs per carton. Available in a variety of strains. Pack of 6 all flower pre-rolls, over 6 grams per pack. Assembled by hand. 10 packs per carton. 1.97 grams assembled by hand with top shelf flower, coated with clear cannabis oil and rolled in kief. Available in a variety of strains. 6 all flower pre-rolls, totaling 3.5gms per pack. 10 packs per carton. 4 all flower pre-rolls coated in premium shatter oil, rolled in Kief totaling over 4g per pack. 10 packs per carton. Assembled by hand. Celebrity endorsed pre-roll packs. These packs have a unique blend of cannabis. Page 48: An “Irie Orb” suspended in the trees at Camp Emerald Resort. Previous spread: The recently opened Wonder Log Dispensary at tourist attraction One Log House. Above: One Log House in Piercy. Page 55: Geodesic dome tent at Camp Emerald Resort. Grown right here. Old favorites, new harvest. Largest retail space in the area! We practice environmentally friendly & natural low impact farming methods that bring out the ﬂower’s full potential. Sun grown in living soil using permaculture farming and zero pesticides. Some of our favorite ﬂavors are: BLUEBERRY MUFFIN – Extreme terpenes with fruity palate, and a nice body buzz. BLUE GLUE – Mildly sweet aroma with an uplifting, energetic feeling. Blueberry Malawi X Gorilla Glue 75, an African landrace strain. DRAGON BERRY – Potent and sweet, giving oﬀ an intensely euphoric feeling and earthy body buzz. Cherry Bomb X Turbo Diesel. *Papa & Barkley tinctures are available in three formulations: 3:1 THC:CBD, 1:1 THCa:CBD and 1:30 THC:CBD. hard to represent Humboldt’s unique quality of life.” As legalization transforms the economic landscape of Humboldt County, Grossman understands, “All eyes are on us,” as a leading cannabis company in the legal era. “We feel lucky to be in Humboldt,” says Grossman. “It’s something we don’t take for granted.” Committed to engaging with the community, Papa & Barkley employs Humboldt County residents, supports the local fire department and sponsors everyone’s favorite hometown baseball team, the Humboldt Crabs. For Humboldt County, transforming cannabis into tinctures and topicals is still a radically new delivery system for the region’s best-known agricultural export. Topicals include salves, ointments or oils rubbed directly onto the skin, intended to ease joint pain, sore muscles, arthritis and inflammation. Topicals with a higher level of THC can spur some psychoactivity for the consumer but if strategically applied to avoid contact with major blood veins, the impact is greatly reduced. To skip the high entirely, Papa & Barkley offers several products with ramped up levels of CBD, one of the cannabis plant’s naturally occurring compounds. Known for its healing properties, CBD products like Papa & Barkley’s 1:30 Tincture allows for many new consumers to experiment with cannabis safely in their comfort zones. * Though micro-dosing with a tincture looks and feels profoundly different from rolling up a joint, the unmistakable smell and taste of cannabis remain unchanged. When experimenting with the wide array of CBD cannabis products available in California’s recreational marketplace, many of us need a spoonful of sugar to make the cannabis go down. But tinctures, typically suspended in grain alcohol or oil, are incredibly versatile ingredients for the well-stocked home pantry or bar. While cannabis-infused oils or butter are dependable ingredients for preparing cannabis cuisine, tinctures are ideal for the finishing touch in an infused cocktail. With a nod toward Humboldt County’s green future and the end of an era, this cocktail showcases the old-timey pairing of whiskey and maple, brightened by fresh lemon juice and the grounding herbal flavors of rosemary and cannabis. Whether for health or pleasure, I designed this cocktail for relaxation and healing. Combine bourbon, lemon juice, maple syrup and a sprig of rosemary in a cocktail shaker. Muddle like you mean it. Add a few large ice cubes and shake. Strain the drink into a tumbler prepared with crushed ice. Top with a float of 1 dropper (1 milliliter) of CBD tincture and garnish with a sprig of rosemary and lemon. Drink to your health. consults with regional producers to define the geographical boundaries along with the standards and rules to qualify for appellation status. Once these standards are determined, the AOC details labelling requirements including allowable font sizes, acceptable uses of the regions name and the placement of a seal guaranteeing its authenticity. The INAO protects this seal like a trademark throughout France. These AOC designations are not protected internationally, so many countries enter into bilateral agreements directly with other nations or seek protection with organizations such as the World Intellectual Property Organization (WIPO), which has established nations that will protect AOC through the Lisbon Agreement. native soil form the baseline parameters for the process. The number of days without rainfall, temperature swings from day to night, altitude, coastal fog river influence, varietals (strains) and resistance to pests and pathogens are some of the data points farmers can use to begin documenting what makes the appellation unique. Also of important consideration are ripeness, harvest protocols, drying, curing and processing techniques. MAUCRSA (SB 94) has language referring to the development of appellations of origin by January of 2021. In a surprising twist, the word “origin” was replaced with “appellation of standards, practices and varietals” in its latest draft. It is clear that, in Humboldt, both origin and standards form the foundation of a strong and defendable appellation designation and neither is strong enough without the other. Humboldt County, with its ancient forests, steep terrain and six beautiful rivers, is already naturally connected by watersheds. Due to its remote location and backto-the-land culture, Humboldt residents are intimately connected to the land and its influences. From community hubs and granges, farmers have started to organize and develop the framework for AOC. The traditional knowledge that has been passed from farmer to farmer, parent to child, and neighborhood to neighborhood is being written down. Genetics that have been cultivated and shared in watersheds throughout the past 50 or more years in secret are having their genomes mapped. The Humboldt County agricultural commissioner has implemented a state-of-the-art seal that bears the county logo, anti-counterfeit ink and a QR code for consumers to guarantee the authenticity of all cannabis products from the region. Groups such as The Humboldt Sun Growers Guild, Humboldt County Growers Alliance and the International Cannabis Farmers Association are all working on ways to secure an appellation that will protect and empower the Humboldt legacy. The ICFA has sponsored the creation of a Sun Grown Cannabis Commission in a bill that is being authored by Dan Levine in San Francisco (AB 1810). This statewide commission will take a major role in identifying geographical boundaries, shaping standards and launching a marketing campaign to highlight the features of sun grown cannabis. ICFA has also created a rubric for grading and sorting that outlines the baseline standards of cannabis inflorescence. The Humboldt Sun Growers Guild has been educating its member base on the benefits of appellation of origin and protecting the regions name by marketing a premium cannabis brand appropriately named True Humboldt. The California Growers Association and the Mendocino Appellations Project have been instrumental in getting legislation passed to encourage the development of this type of appellation control. Growing the world’s finest cannabis is a complex skill set that has been carefully nurtured and passed down through generations secretly and at great risk. Beyond the typical growing conditions farmers face, there has been an entirely different set of obstacles in this clandestine crop. The very fact that Humboldt’s cannabis was grown in small batches, in secret and by a culture of people with a moral obligation to fight an unjust law is part of what makes it so unique. Protecting that heritage is a fight the farmers of Humboldt won’t give up easily. It’s in the terroir. In Humboldt, both origin and standards form the foundation of a strong and defendable appellation designation. CBD WATER At Redwood Coast CBD Water, we pride ourselves in using only the purest CBD derived from organically grown hemp. Our water is highly oxygenated and slightly alkalized. This triple refi ned, nano emulsifi ed CBD water has 100% bio-availability giving you the full benefi ts of 20mg CBD per every 16 oz. serving. Left: Van Arken Creek, a main tributary to the Mattole River. Photograph by Amy Kumler. Above: The Save Van Arken logo. culinary-grade cannabis-infused olive oil made in San Francisco. Each of these “sauces” can function as a dip atop baguette slices or crudités or work beautifully as a marinade for grilled vegetables and kabobs. With DIY cannabis-infused oils, the pungent smell of herb is seemingly unavoidable. At Pot d’Huile, the team perfected its formula, rendering a cannabis-infused olive oil that delivers “precision, flavor neutrality and maximum benefit.” Pot d’Huile smells of rich green olives and its color is the golden hue of many traditional olive oils. When we tested our infused recipes with the straight version, the taste difference was amazingly undetectable. Available at dispensaries throughout California, the precision dosing of Pot d’Huile is a reliable tool for exploring the delicious and medicinal world of cannabis cuisine. Combine butter, Pot d’Huile and sugar in a standing mixer. Beat for 3 to 4 minutes. Add eggs and egg yolks, 1 at a time, while beating. Add the lemon juice and lavender. Mix for 1 minute more. At this stage, the mixture will look curdled but don’t fret. Pour the lemony mixture into a small saucepan over a medium-low heat, stirring often, until it becomes smooth and slightly thicker. Increase the heat to medium and cook, stirring constantly, until the mixture thickens. * The entire cooking process will take about 10 minutes. Transfer the curd to a bowl, cover with plastic wrap and refrigerate until cold (the curd will continue to thicken in the fridge). Preheat the oven to 400˚ F and generously butter an 8-inch springform pan. In the bowl of a stand mixer, whip the egg whites with a pinch of salt until they start to form soft peaks. Still whipping, gradually add 2 tablespoons sugar, and beat until the whites are firmer and glossier (they should hold their shape). Carefully transfer whites to another bowl so that you can continue using the mixer. Beat the egg yolks, goat cheese, the remaining sugar and cornstarch until smooth and creamy. Remove bowl from mixing stand. Using a rubber spatula, gradually stir ¼ of the whites into yolk and cheese mixture to lighten it. Stirring carefully with a folding motion, gradually stir in the remaining whites. Scrape the batter into your prepared springform pan. Bake for 15 minutes, then turn the oven temperature down to 350 F. Continue to bake for 35 minutes more, or until the top (which most likely will have cracked) is dark brown and firm. Transfer pan to a cooling rack and allow to rest at least 10 minutes. Carefully remove the sides of the springform. Cool the cake to room temperature before serving; it will settle as it cools. Place peppers on a baking pan under a broiler with the skin side facing up. Allow to cook about 10-15 minutes. You don’t want them to scorch, but to be mildly blackened all over. Using tongs, transfer roasted peppers to bowl and cover with plastic wrap. Let stand 15 minutes to steam. Peel away blackened bits of skin and any remaining stems or seeds. Place peppers inside the bowl of your food processor. Add garlic, toasted walnuts, breadcrumbs, spices, vinegar, lemon juice, Pot d’Huile, salt and pepper to food processor. Pulse until thoroughly combined, leaving chunky if preferred. Taste for salt and pepper. Garnish with walnuts and serve. Combine red wine vinegar, salt, garlic, shallot and jalapeño in the bowl of a food processor. Let it stand while you prepare the cilantro, parsley and oregano. Add herbs to food processor and pulse until combined. With the machine on, slowly pour in both the Pot d’Huile and regular olive oil. Scrape into a bowl and serve immediately. DBSâ&#x20AC;&#x2122;s Sarah Schuette applying her skills in the field. Photograph courtesy of DBS. THE ENVIRONMENT OF HUMBOLDT COUNTY has always been its bread-and-butter. Here on the North Coast of California, natural abundance is firmly a part of the county’s identity — past and present. It was this resource-rich land that ignited and fueled Humboldt’s world-famous cannabis cultivation industry. Now nearly five decades in, our community and farmers are well aware that if we wish to continue enjoying the bounty of our natural resources, we must do everything we can to employ these resources sustainably. This is why the last decade has seen a number of agriculture and environmental firms rise to answer the call, including Dirty Business Soil Analytics, Mother Earth Engineering, SoilScape Solutions, Hollie Hall & Associates and more. These eco-consultants, analysts and engineers serve the needs of Humboldt County cannabis farmers through a range of services, from large projects, such as watershed restoration and renewable energy systems, to more focused micro-services, such as customized amendment mixes and soil testing. While these firms may differ in their specialities, they have the shared goal of providing sustainable solutions for farmers so that they can produce high quality cannabis with minimal environmental impact. Giving Mother Earth a seat at the table Another Humboldt County company focused on protecting the Earth and empowering farmers is Mother Earth Engineering (MEE). MEE is a firm of civil environmental engineers started by Kendra Miers and Patricia Lai in 2016 in order to fulfill a need they saw in the county for engineering and planning for cannabis farmers. Their intention was to “give Mother Earth a seat at the table” and offer a holistic, balanced viewpoint in civil and environmental engineering. Their vision, in addition to helping Humboldt cannabis farmers implement sustainable practices, was to work in a way that was meaningful and sustainable to themselves. Mother Earth Engineering is a full-service engineering firm, working with cannabis farmers on all levels of land development, renewable energy systems, hydrology and watershed restoration. It also offers consultation services for cannabis cultivation permitting and helps guide farmers through the ever-changing landscape of recreational compliance. Compliance consultants are valuable to the Humboldt County cultivator. Requirements can differ from county to county and what the state allows isn’t always permissible in each county. It can be confusing for some cultivators, especially for those working on a small scale. As Miers notes, “Environmental regulations are stricter [for cannabis] than any other industry in history and a lot of farmers now are paying for the sins of the loggers from decades ago. It can be difficult to understand all the requirements — every time you think you have it down and that you’re totally within compliance, something else seems to pop up that you need. That misunderstanding has put a lot of small farmers out of business.” MEE founders consider themselves working on the front lines with their clients. They, like DBS, are emotionally connected both to the environment and the community in Humboldt County. Schuette of DBS says, “What Humboldt County needs are good, quality consultants who care about the community and the environment. We think all of us can bring Humboldt to the highest standard and raise the bar even further.” These eco-consultants don’t just want to help farmers become compliant. They want to empower them to make their cannabis cultivation practices truly sustainable, holistic and renewable. Kendra Miers (left) and Patricia Lai of Mother Earth Engineering. Photograph courtesy of Mother Earth Engineering. WE CAN’T SAY FOR CERTAIN how long humans have been using cannabis extracts, but we do know the practice of mechanically extracting resin from the cannabis plant is many centuries old. The first use of the term hasish occurs in print in the 10th century, but the history of mechanical (aka solvent-free) extracts likely dates back much farther. Today’s landscape of cannabis extracts is a broad one, and can be daunting to those unfamiliar with the terminology of this ever-expanding area of innovation. For our purposes here, we’ll group extracts into two primary categories: those produced using chemical solvents, and those produced without. A variety of chemical solvents (i.e. butane, alcohol, propane) and processes (i.e. CO₂, supercritical fluid extraction, BHO closed-loop blasting, etc.) are used to extract cannabis resin. The end products of these processes can find their way into everything from tinctures to edibles to vape pens and better shops will typically feature a large variety of extract options. The popularity and innovation in chemical extraction processes and products have been staggering over the last decade — scientific know-how has fueled research and innovation and the production of safe, tested, solvent extracts by reputable, permitted operators is widespread. However, they aren’t the only game in town. Solvent-free extracts have been going through their own innovative processes and offer great options for those who wish to keep things a little simpler. For the vast majority of cannabis extraction history, the practice of separating resin from cannabis plants was accomplished without the use of chemical solvents. Today, solvent-free continues to be a great way to make high-quality, tasty extracts. There are some fine options out there, but for our purposes we’ll look at three solvent-free options available at better dispensaries in your neighborhood. And yes, you can still use your dab rig. SUPPORTING SMALL FARMS PROTECTS THE ENVIRONMENT, PRESERVES THE ORIGINAL CANNABIS INDUSTRY, AND HELPS SMALL BUSINESSES THRIVE. flower grinders for years. Kief offers a euphoric and relaxing experience for most users, and is widely available in its raw powder form. Bubble hash. Bubble hash, or water hash, is the trichomes of cannabis plants separated from the plants using ice-cold water and agitation. This is accomplished by using a progression of filter bags, or bubble bags, made of differently sized mesh fabrics that separate solids according to size. Basically, the theory is that only the good stuff filters through the mesh of each filter bag until the end product contains only trichomes. The quality of bubble hash can vary widely, and the best bubble is known as full-melt because — well, it melts fully when heated. Bubble hash is an easily accessible extract and can be used in a variety of ways, very similar to kief with similar effects. Press rosin. The newest and most exciting innovation in solvent-free extracts is press rosin or simply rosin. Produced using precise ratios of heat, pressure and time, this process is the future of mechanical extracts and offers solvent-free extracts that are highly concentrated while also preserving terpenes (molecules generally associated with flavor and aroma) along with cannabinoids. This is a big deal — not only does this preserve each strain’s specific flavor profile, but terpenes are directly responsible for the entourage effect — a kind of synergy of molecules that yields many positive results for medical cannabis users, especially those who choose CBDs as their primary medicines. There exists a growing body of evidence that this entourage effect increases blood flow, enhances cortical activity, and kills respiratory pathogens like MRSA — an antibiotic-resistant bacteria that claims thousands of lives every year in the U.S. Also, as promised, rosin works great in your dab rig. The Humboldt approach To get a better understanding of press rosin and the process used to produce it, I went over to Pure Source — a Humboldt County rosin-only extract company on a mission to spread the good word about solvent-free extracts and the unique benefits of keeping things simple. I met with Bryan and Kyle (two of the three owners of Pure Source) and quickly came to understand that ethics is squarely atop their list of priorities. To put it in their own words — quality in, quality out. They use only high-quality flowers to make their extracts (no floor sweepings! ), and all raw plant material is tested for purity prior to extraction. Pure Source is a family-owned business with deep roots in Humboldt County. The proprietors are all born and raised in Humboldt, and committed to producing the cleanest, highest quality extracts possible by partnering with local farms known for quality and purity. They stand by their sources, and put them right on the label so there’s no need to wonder or worry. They currently feature a variety of CBD extract products, including a tincture for your pets, and will soon be releasing a line of high-quality vape pens featuring their fantastic THC rosins. All wine lovers, they were quick to draw a parallel between fine wines and their artisan-quality rosins. In Kyle’s words, “When you smell a Napa Cabernet, you know it.” They want to grow that kind of recognition for our area. They believe Humboldt is rightly at the center of the cannabis universe, and are among the large number of Humboldt County producers dedicated to ensuring that only the best products available wear the Humboldt brand. Now that you have the skinny on some great solvent-free extract options, get down to your favorite shop and keep it simple. No matter what your extract needs may be, there’s a solvent-free solution that fits your life. And as always, ask for Humboldt by name — you won’t be disappointed. Page 79: Solvent-less rosin. Shutterstock. Below: Pure Source products. Courtesy of Pure Source. Emerald Hills Environmental is an engineering firm built to create simple paths to compliance and licensing. We work hand-in-hand with our clients to reach their goals through our unique understanding of the compliance process - an understanding that comes from years of experience as regulating engineers, environmental consultants, and direct participants in the cannabis industry. Working with us, you can focus on cultivation while we focus on legalization. Humboldt Processing Company Benefiting our farmers. Benefiting our employees. Benefiting our community. NEW LOCATION IN EUREK A OPENING S O O N! OPEN FOR MEDICAL AND REC! Photograph courtesy of Humboldt Seed Company. TASTE THE DIFFERENCE We are a family run, award winning, nationally recognized farm. We focus on small batch, high quality artisan cannabis that comes from decades of experience. As an ecologically responsible farm, our ethos towards water conservation has made us one of the first farms to strive to be 100% water neutral through our rainwater catchment model. Cultivating a healthy living soil, with the aid of companion planting and cover crops insures a healthier, more resilient plant naturally, and that is good for all of us. Here at Full Moon Farms, it’s more than just a job, it’s a lifestyle. We hope you enjoy our organic sun grown flowers as much as we have enjoyed lovingly raising them for you. For all you Sativa lovers out there, this is an Amsterdam legend for a reason. A FMF signature strain with the right balance of a heavy hitting trifecta GG#4 × GSC × Louie OG small batch limited release (coming soon). From farm friend Kevin Jordey, this is sure to be a fan favorite. We can not wait to share this one with you. KING LOUIE OG A pure indica with earthy notes and just the right splash of fuel. Our award winning fruity terp overload will keep you coming back for more. This legendary strain from the Humboldt Seed Company says it all in the name. Award winning floral notes that permeate your senses and leave you smiling. A perfect anti-anxiety, de-stresser, any time of the day flower. Headband x Sour Diesel is our top fuel strain when you’re looking for that gas.